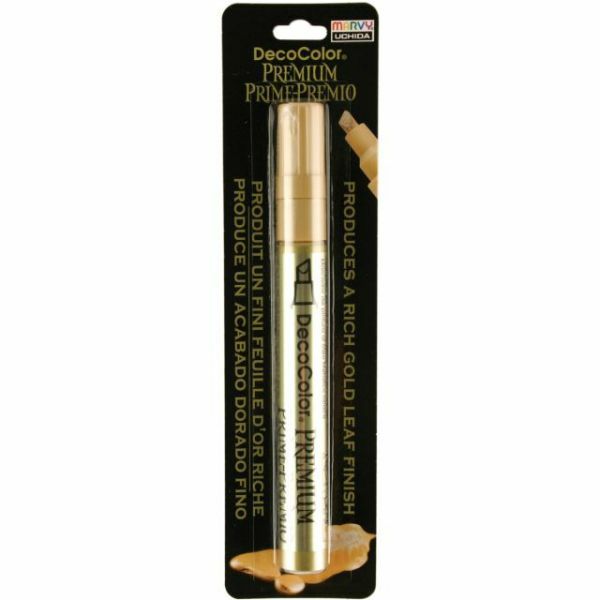 DecoColor Premium Chisel Paint Marker - UCHIDA-DecoColor Premium Oil Based Paint Marker Carded. It produces a rich metallic finish with great opacity! It has a chisel tip that allows you to draw fine and thick strokes! The marker is: pigmented, lightfast, permanent, and opaque. This package contains one paint marker. Available in a variety of colors, each sold separately. Nontoxic. Acid free, lead-free, and permanent. Conforms to ASTM D 4236. Imported.